Nan Goldin, the photographer known for her images of early ’70s and ’80s New York City nightlife and queer culture, was addicted to OxyContin for nearly three years. Now clean, she’s protesting the Sackler family who invented the drug and donated millions of dollars to some of America’s greatest art museums. Earlier this month Goldin wrote an essay in Artforum describing her addiction and protesting the Sacklers. “The Sackler family and their private company, Purdue Pharma, built their empire with the lives of hundreds of thousands,” she wrote. “The bodies are piling up.” The Sacklers, whose name is plastered on wings at museums like the Smithsonian, the Brooklyn Museum, and the Guggenheim to just name a few, were the subject of a recent New Yorker article on their Oxy empire. Goldin is now hurrying through a modern activist learning curve. “First I wanted to go out with signs and picket a Sackler wing of something, because that’s what we did in the Vietnam war and that’s what we did with Act Up in the Aids crisis,” she says. But she recently discovered social media–“I went on Instagram for the first time three weeks ago,” she says–and realised that petitions are online these days, so has set about organising one, which will be presented in due course to those Sackler family members on Purdue Pharma’s board of directors. For a family that has worked very hard to associate their name with artistic institutions rather than fatal prescription drugs, the Sacklers may hopefully have a worthy opponent in Goldin. We are deeply troubled by the prescription and illicit opioid abuse crisis, and we would welcome an opportunity to sit down with Ms. Goldin to discuss her ideas. For more than 15 years, this company has supported many of the initiatives she is advocating, which includes collaborating with law enforcement, funding state prescription drug monitoring programs and enhancing their interoperability, and distributing the CDC Guideline for Prescribing Opioids for Chronic Pain. In addition, we’ve recently announced educational initiatives aimed at teenagers warning of the dangers of opioids and continue to fund grants to law enforcement to help with accessing naloxone. The opioid epidemic is a national crisis and Purdue Pharma’s role in it is morally abhorrent to me. 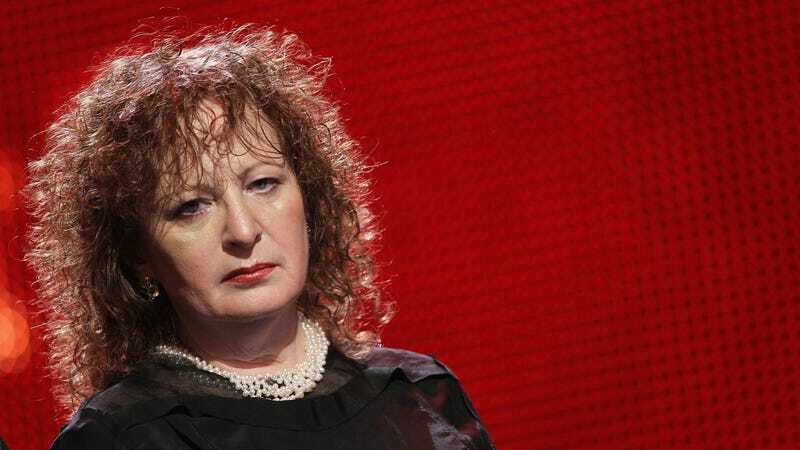 I admire Nan Goldin’s commitment to take action and her courage to tell her story. I stand in solidarity with artists and thinkers whose work and voices must be heard. My father, Arthur M. Sackler, died in 1987, before Oxycontin existed and his one-third option in Purdue Frederick was sold by his estate to his brothers a few months later. None of his descendants have ever owned a share of Purdue stock nor benefitted in any way from it or the sale of Oxycontin. I stand with all angry voices against abuse of power that harms or compromises any and all lives.